SOBSTAD. First in Technology. First in Value. 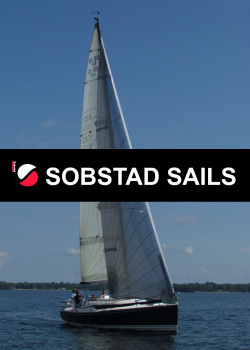 Sobstad has been an industry leader in the manufacture and sale of sails for racing and cruising sail utilities since 1972. For over 40 years, Sobstad has earned and maintained a reputation and proven track record for being one of the industry's leading innovators. Racing and Cruising sails with Sobstad lineages are present cruising inshore and offshore as well as within today's competitive racing fleets. Today, Sobstad continues to offer customers what is considered the industry standard relative to overall quality of product, attention to detail, competitiveness of price, and brevity of production cycle. Sobstad provides a sparkling sail product worldwide for top-echelon racers, offshore and coastal cruisers, and manufacturers of racing and cruising yachts. Sobstad's overriding commitment to customer service and continued contributions to the industry validate and underscore its underlying principle: "First in Technology. First in Value".